Are you searching for affordable skip hire services in SE28 Thamesmead and Surrounding Areas? Well, you shouldn’t worry much since Easy Go Skips has everything you need for your junk removal tasks. We have built a good character of providing the residents of SE28 Thamesmead with top-quality skip hire services. We take pride in the fact that our services are incomparable. Nonetheless, majority of people in the region still ask what makes our skip hire services so special. The truth is that there are numerous aspects of our services that separate us from other skip hire companies in SE28 Thamesmead. For example, we endeavor to ensure every client is completely satisfied with our services. We will go out of the way to make sure you are content with what we offer. In addition, most of our skip hire specialists in SE28 Thamesmead have been in the industry for over ten years. Thus, you can rest assured that your waste removal SE28 Thamesmead project is in good hands. 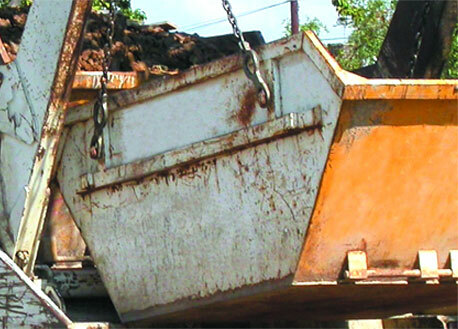 At Easy Go Skips, we endeavor to offer our clientele the best services. We will never rest until you are fully gratified with what we provide to you. Our waste removal specialists will start by discussing the project with you to help them understand your desires. This is aimed at making sure that you get precisely what you need. It is also essential to understand that we help our customers to save a few bucks by offering them the most reasonable quotes. So apart from enjoying quality skip hire services in SE28 Thamesmead, you will also have a chance to make savings on every task. We are available on a 24hour basis. Whenever you need professionals to handle your waste, do not hesitate to contact us. We have a team of caring customer service personnel to serve you. You can also get a quote through our website.